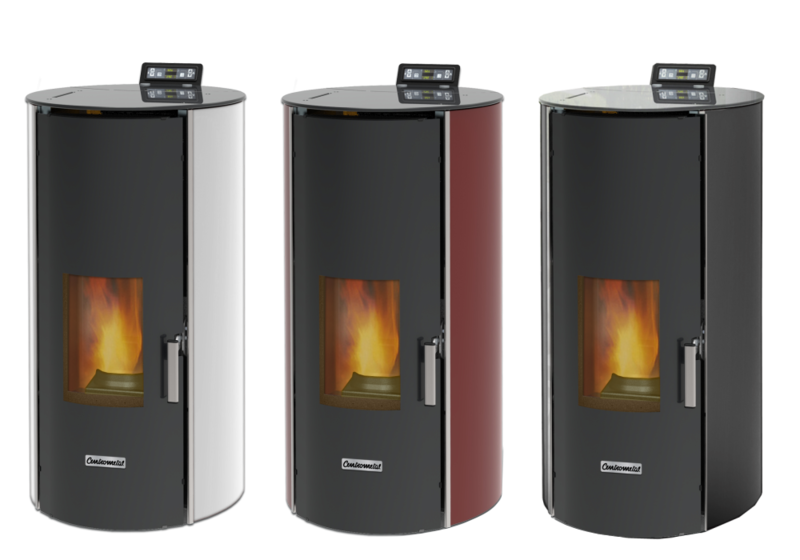 Hot water stoves Centropelet ZVRGL17, ZVRGL20, ZVRGL24 are wood pellet firing stoves with round glass intended for heating the room with air by means of a built-in fan and water through the radiator central heating. They are made of steel with modern design and high efficiency. They have a built-in circulation pump, safety valve, pressure switch, expansion vessel and automatic vent valve. They are standardly supplied with a remote control and digital control that can be used to manage the work of the stove and select the weekly programme.